This is all so hard to say - hard to put out there into the world. But in an effort to explain why we've been so self-absorbed, so absent lately - I think the time has come to explain. The past couple of months have been a really rough time for us. Around mid-August, Aidan very abruptly began to have symptoms that have only worsened since then. He started spiking fevers without other signs of being sick – just random fevers that would stay for a couple of days, go away for a few days, and then come back. 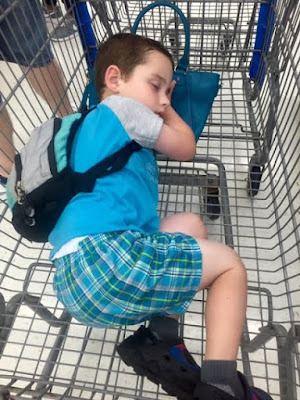 He also became excessively sleepy, falling asleep often during the day even though he was still getting plenty of nighttime sleep. At the same time, he began having headaches and complaining that he was cold during the day, and was throwing up overnight nearly every night. All of this was very unlike Aidan, but we chalked it up to the likely explanation that he had been catching virus after virus. 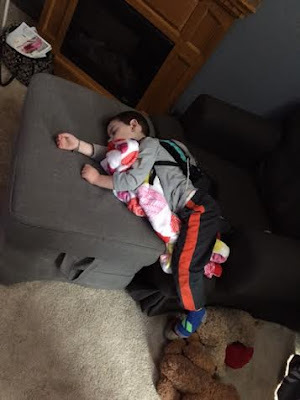 After about 3 weeks of this, and just a few days before a much-anticipated trip to visit family, we took Aidan to see his pediatrician, who had some labs done that indicated that his white blood cell count was extremely low. They told us he wasn’t allowed to leave our house for the next week, until the labs could be repeated and compared. God, it was a long week. 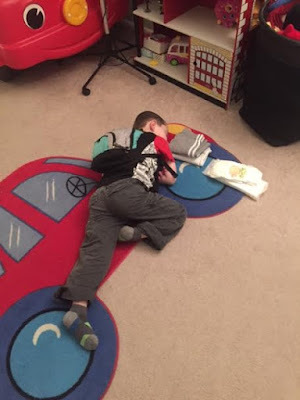 A week later, the labs showed a lot of improvement, and he was allowed to go back to school – with instructions for us to call immediately if another fever happened. It was less than a week before his next fever, and he was sent again for labs – showing a lower WBC count than the previous labs, but not low enough to be dangerous. We sent him back to school. 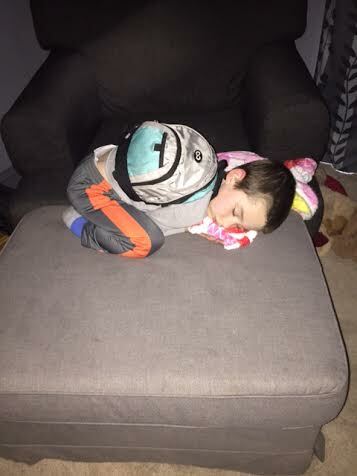 As all of this was going on, Aidan’s sleepiness was getting more pronounced. He wasn’t able to make it through his school day without nodding off in a chair or falling deeply asleep on the floor. 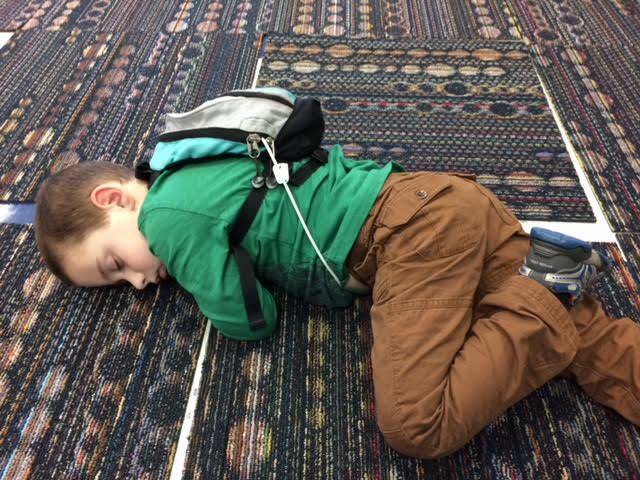 It was difficult to wake him, and when they did wake him, he became angry and destructive – hitting his teachers and nurse, yelling angrily, and even throwing furniture in the classroom. This is not our Aidan. The only explanation he could give us was that he was very tired, and being awake made him angry. It’s now been nearly 3 months. Aidan is increasingly angry and violent and destructive. Nobody knows why. At this point I think it’s important to mention that all of this began a few weeks before leaving his Pre-K. I’d like to believe it’s behavioral in response to the big Kindergarten life change, but given that it started well in advance of that change, I don’t think that’s it – or at least, I don’t think it’s the whole story. It’s clear to us that something is wrong. This exhaustion came from nowhere. The radical personality change came with it. 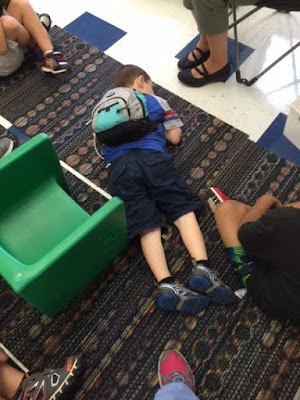 I am heartbroken that whatever this is, is causing him to be unsuccessful at school. 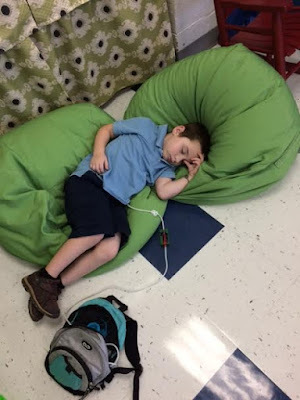 When he is able to attend, and when they are able to keep him awake, he’s barely completing any assignments or interacting with other children, because he’s so miserable and angry. Care to see what his instructional day looks like? And it's not just at school, either... At home, out in the community, at dad's... Everywhere. Over the past couple of months, a scary new symptom has arisen. Aidan thinks that he hears voices talking to him that come from inside his body. Sometimes he thinks it’s a “meanie bug” who is talking to him, laughing at him, and making him make bad choices. Sometimes, he thinks it’s his heart talking to him, making him do these awful things. The violent outbursts are becoming even more frequent. He’s hurting his teachers, the school staff, and his nurse on a daily basis. I truly don’t know how much worse things can get. What’s been done so far – the pediatrician ran several sets of labs to check his white blood cell count, and also sent off blood cultures (which didn’t grow anything) because of the fevers. He’s had an EEG, and MRI, a longer (overnight) EEG, and a sleep study. Both the EEG and MRI showed nonspecific abnormalities, but nothing that concerned his neurologist enough to move forward with any treatment. 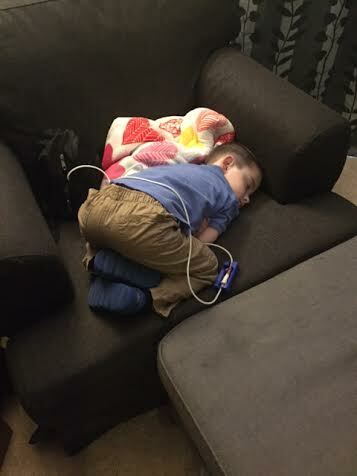 The sleep study showed that he’s having a lot of limb movements, and they’re waking him up. As I’m sure you can imagine, things at school are not good. Our school district is absolutely failing him when he needs their support the most. When this all began, the decision was made to remove him entirely from general education, and place him full time in Autistic Support. This was an immensely difficult decision for us - we had never even vaguely entertained the thought that Aidan wouldn't succeed in a mainstream classroom. 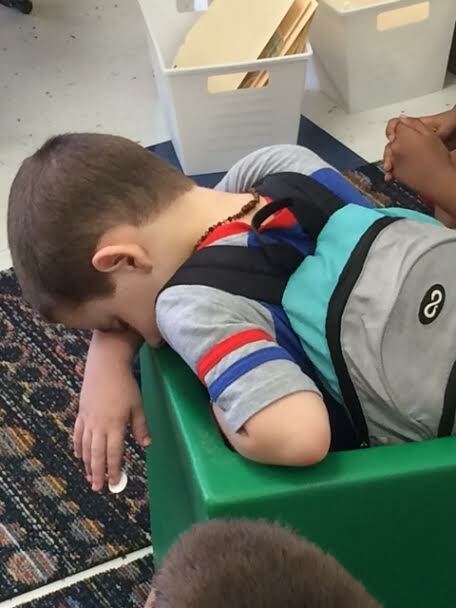 Almost immediately after that decision was made, the school began to push us for a move out of Autistic Support and into Emotional Support at a different school, due to his behaviors. I maintained that I’d consider any placement that would help him, but I was not going to be okay (EVER) with removing him from the services that he’s entitled to and desperately needs. When they finally got someone from Emotional Support out there to see him, they agreed (with me) that AS is the right placement for him. Immediately upon hearing this, his school moved to reduce his school day. I nearly lost my mind. They were already doing nothing whatsoever to work toward reintegrating him into general education, had given up on actually teaching him anything, and were simply assigning staff members to babysit him until the end of the day. He was being allowed to choose his own schedule full of preferred activities only – they 100% removed all educational demands and let him do whatever he wanted, whenever he wanted. It is clear to me that a reduction of his school day was nothing but an obvious attempt to make their lives easier and free up their staff. I’m not going for it. Nearly three months into the school year, we have yet to see a behaviorally-trained 1:1 assigned to Aidan – although the school knew before he started that this was precisely the intervention that facilitated his success in his last school. After many requests, we were finally told on Halloween that they were moving forward with obtaining a 1:1 – but nothing has happened yet. In the meantime, Aidan spends almost the entirety of his day secluded in an empty classroom, or - when he's particularly angry and unmanageable - closed in a small padded room on his own. 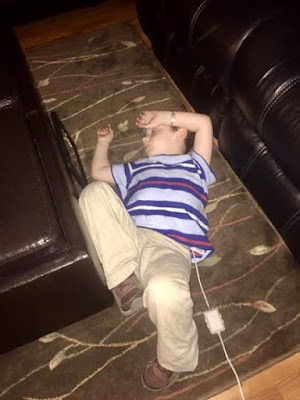 Where we are now – we’ll need to see a sleep neurologist to figure out the sleep study results. We will also see developmental pediatrics again next week to discuss bringing him in to see a psychiatrist for a more comprehensive mental and behavioral health evaluation. I am so scared for him. He was such a wonderful student, classmate, and friend – and then this switch flipped. He’s miserable. We are miserable. His school desperately wants to pass him off somewhere – ANYWHERE – else. 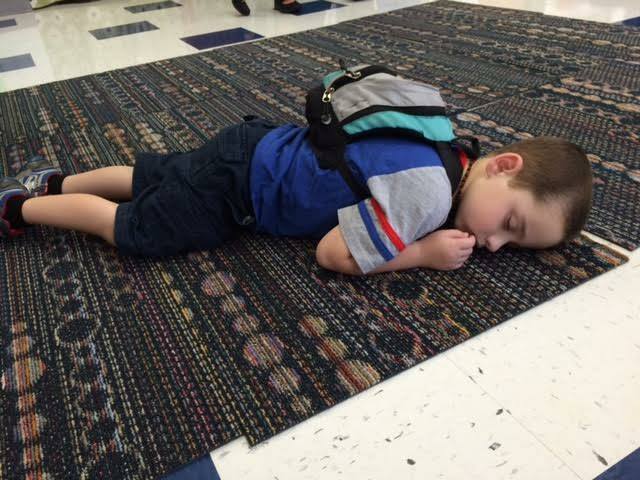 He is so tired, and falls asleep during the day so deeply that his nurse and teachers can’t even wake him. We are investigating absolutely every avenue we can think of. Has something gone horribly wrong in his brain? Are his medications causing this? Is this due to a lack of enough restful sleep? Is there some mental illness at play? Is this just the next chapter in parenting a child with Autism? 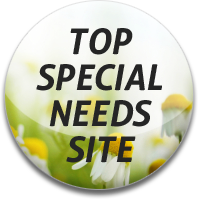 Please, internet friends, if you have ideas - we need them, desperately. I have written and rewritten this post half a hundred times now. 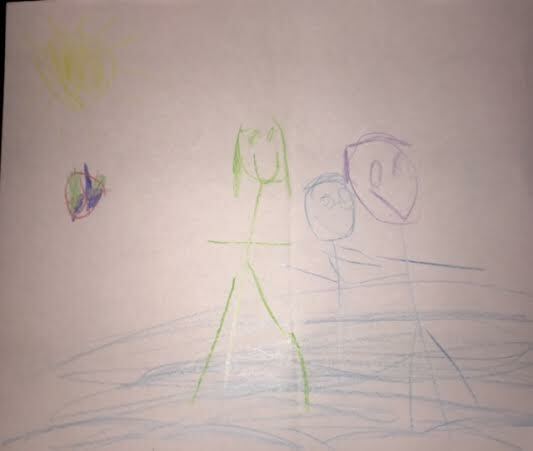 For the longest time, I felt far too lost to write anything at all about our family, our lives, or the direction we were headed. I just didn't know what to say. Life went on, of course. Aidan turned 5, he graduated Pre-K, and we're all eagerly preparing for Kindergarten. Things are very much as they've always been - doctor's appointments, ER visits, inpatient stays, birthday parties, playdates, and everything in between. But everything is different at the same time. We live at our house. Daddy lives at his house. Since late last year, we have been working to figure out what's best for all of us, and this is undeniably it. We worried about how he would take it, or what he would wonder or ask - the truth is, he seems to understand and accept this essentially without question. He understands that he is loved without question, and we are all moving toward the happiness we deserve. It took us a lot of time and soul searching to understand that, for our family, that happiness didn't involve all of us staying together. Enough about that. It's the elephant in the room, and if you didn't know, you do now. Families come in all shapes and sizes. Ours is no less for the changes we have made. I think it's been a while since we've actually had anything hopeful to say, but as we wrap up October, we've been moving forward and feeling kind of positive about things. We did see Genetics, although it was not the most productive visit. Disappointing, since we've been waiting so long to get in there. Their only idea, really, was to test him for Russell Silver Syndrome - a congenital growth disorder. We'll see how that turns out, although I don't expect any big answers there. He doesn't look like an RSS kid. I don't even think Genetics expects answers. On the up side, Aidan thought the Genetics waiting room was the most fun waiting room he's seen in a long time. Thankfully, the Diagnostic/Complex Care Center visit went better. So much better. I have no idea how we got in to see Dr. M so quickly, but I'm thankful for whatever backstage witchcraft and wizardry made it all happen. Anyway, the plan from our visit was to have Dr. M's office coordinate all of our future inpatient stays, which should hopefully make a big difference in our overall level of frustration every few months. He will also be contacting Genetics to suggest that they dig deeper on the PHKB mutation. The bigger (scarier?) thing he's going to work on is having CHOP's Mito team review Aidan's chart get their thoughts and see if we can start evaluating him for a Mitochondrial disease. I don't know exactly how to feel about this, so for the moment, I'm going to just focus on being hopeful that this is a new idea that we haven't explored yet, and maybe it will take us in new directions that will give us betters ideas for treatment. 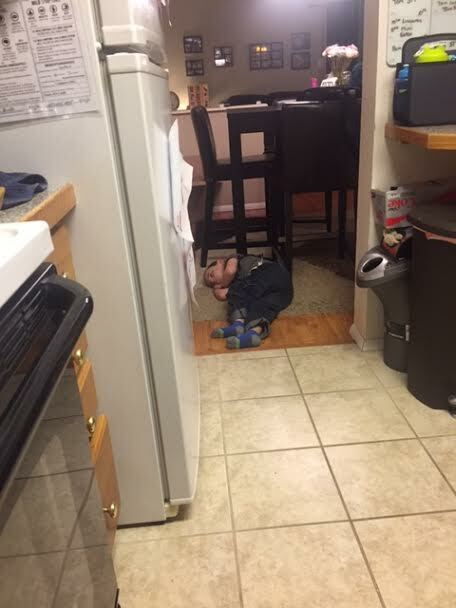 Aidan has been so tired lately. I feel like all I hear from him is that he's too tired to play, or too tired to go anywhere. I don't know what's going on. His night sleep isn't good - but it's certainly not worse than it has been. Weekend visits to Nikki's new house have been pretty sleepy - I just don't know how to make this better, and it breaks my heart. 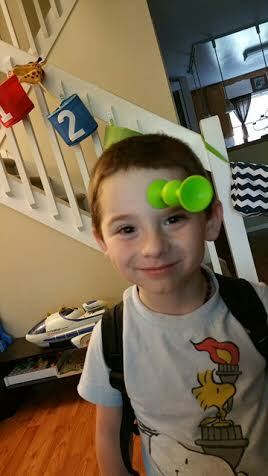 But we do still get to see this Aidan - our sweet little goofball, who brings so much light into our lives. I'll do anything - take him anywhere, to see anyone - to get just a bit more of this face into our lives. 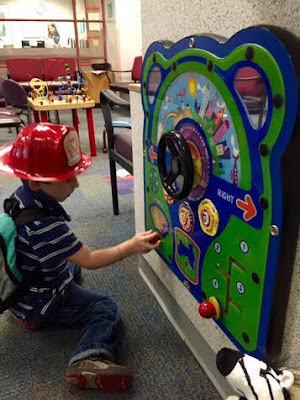 The rest of this month will see Aidan at CHOP for his swallow study and his GJ tube change. Hopefully, he'll be back on his feet and feeling good in time for Halloween - he's got big Trick or Treat plans with his best buddy. Still working to schedule our trip to Pittsburgh. I know they've been reviewing his records, and hope to get in to see them soon. Peanut Allergy Free....Here We Come!! It's A Hard Job but...Someone's Gotta Do It!